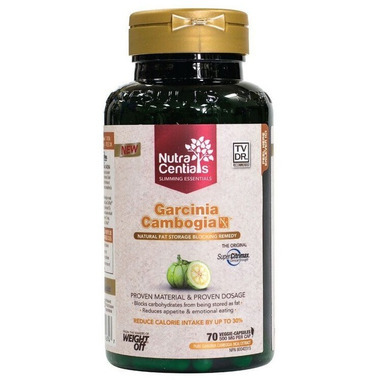 NutraCentials Garcinia Cambogia NX with Super Citrimax is the most effective, clinically proven garcinia nutrient available. Super Citrimax is known as “THE ORIGINAL GARCINIA CAMBOGIA.” Garcinia is a rare tropical fruit grown in the remote jungles of Asia that has been traditionally used to make meals more filling. It also reduces appetite and blocks body fat production. Recommended Use & Purpose: Helps promote weight loss by reducing appetite. 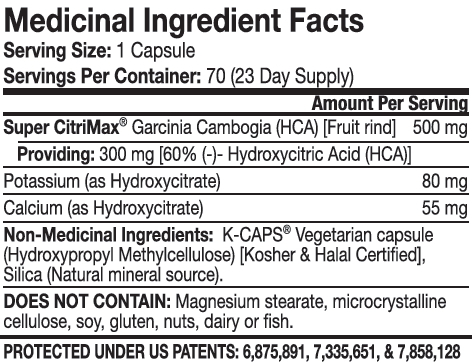 Recommended Dosage & Directions: Take 1-3 capsules three times daily before three of your meals (total 1500-4500 mg/day). For even faster results combine with healthy eating habits and an active lifestyle. Warning/Risk Information: Consult a health care practitioner prior to use. Seemed to approve mood and create less interest in food. Ran out before I could give them a really good try. Unsure of the results yet of this product as far as weight loss. Husband started taking on Monday. He says it is working for his appetite, but we will give it a good week or two for weight loss results.